Beyhive, you’ve gotten a little a lot out of control lately. 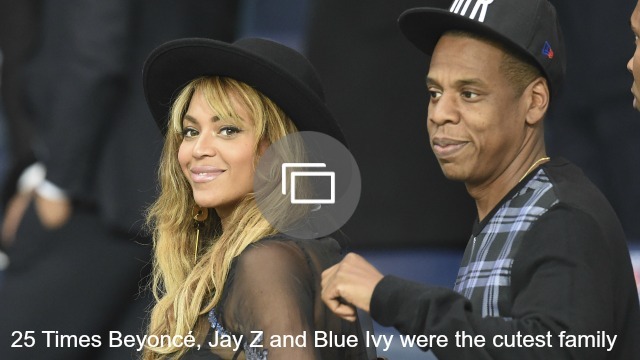 More: How many times has Beyoncé been pregnant with baby No. 2 now? During Beyoncé’s Tidal X: 1015 concert performance in Brooklyn on Saturday, she pulled one of her most badass onstage moves to date. Her earring got caught in her braid at one point and yanked out of her ear, and like the boss she is, Bey kept right on performing with her bleeding earlobe. Reports say she didn’t even notice the blood until several songs later. Kween. The photos and videos are pretty graphic and disturbing, so I’m not going to post any here. I am going to say, however, that whether or not this is a hoax, it’s pretty messed up to make light of self-harm like this. Cutting and other forms of self-harm are actual, dangerous issues that a lot of people struggle with, and these videos and pics are like a slap in the face to all of those people. And if it turns out that people are actually cutting themselves to show support for Beyoncé, come on. That’s dangerous and stupid and you all should know better. You know that even the smallest cut can get infected and kill you, right? What are you all even thinking right now? What do you think about #CutForBeyonce?